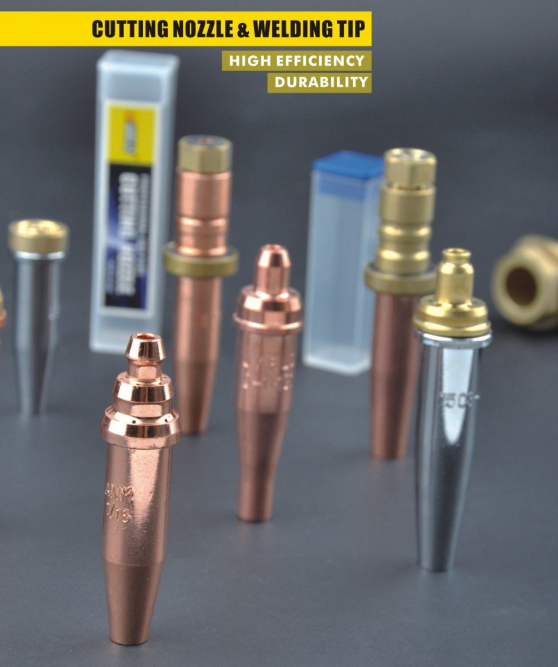 Product categories of Cutting&Welding Tip, we are specialized manufacturers from China, Cutting Welding Tip, Cutting Nozzle suppliers/factory, wholesale high-quality products of Cutting Torch Tips R & D and manufacturing, we have the perfect after-sales service and technical support. Look forward to your cooperation! The welding nozzle is a replaceable nozzle for welding gas blowpipe. The Cutting Nozzle is a component of oxyacetylene cutting. Gas cutting tip can be divided into two types: new industrial gas cutting nozzle and industrial gas cutting nozzle. The gas cutting & welding torch is composed of a attachment and a cutting & welding tip. The cutting tip can be divided into acetylene cutting tip, acetylene welding tip, propane cutting tip and propane welding tip. Popular cutting models are like ANME, PNME, 1-101-GPN, 6290, etc. Different cutting nozzle with different orifices have different cutting capacity.